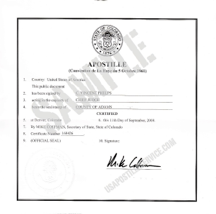 Birth or death certificates can be obtained from the Vital Records Office of Colorado. A marriage license, divorce decree or other court document can be obtained from the county in which it was issued. A certified copy from Vital Records or the county MUST have a signature and a seal. 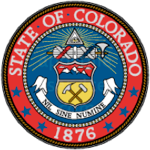 The person who certifies the document must have his or her signature on file with the Colorado State Elections Division. If a county certifies the document, is there a ‘live-ink” signature on the document (not stamped or photocopied)? Does the person who certified the document have his or her signature on file with the Elections Division? Is there a seal (county, court or state) accompanying the signature?